Our Welcome Patriotic Wind-Free Feather Flag Features an upper and lower red/white striped swirl pattern. 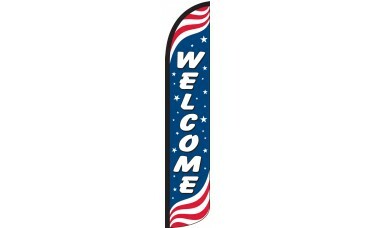 The middle of the flag features a blue background with white stars and bold text reading, "Welcome." 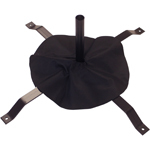 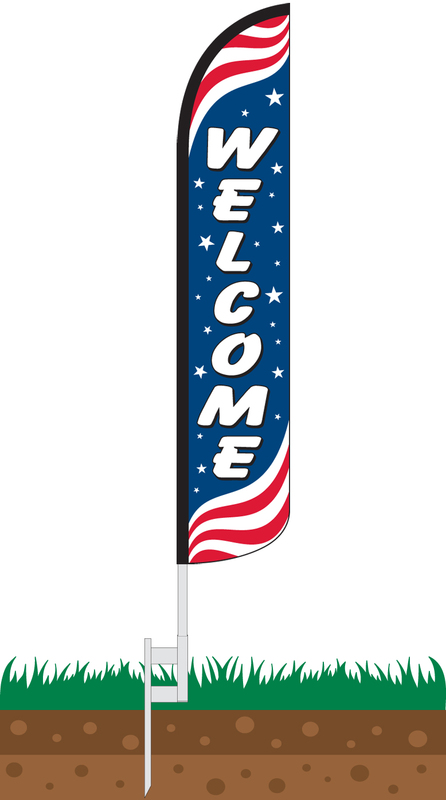 This patriotic-themed flag is perfect for any business looking to let prospective customers know that they are welcome.